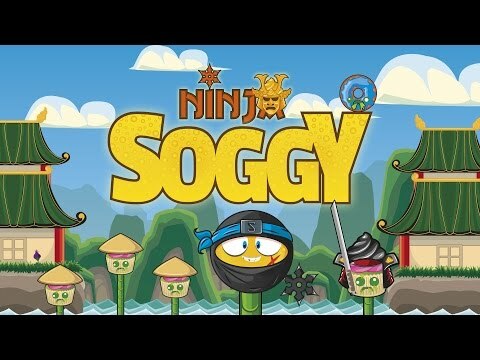 Soggy is in oriental land, big time to samurais .. but zombie plague has invaded the pastry tribes .. just a great ninja could fight them and free the world from the zombie hordes. The game controls are very simple, if you move the device sideways you can slide down the world. With a tap on the screen you jump, and two taps you can shoot.